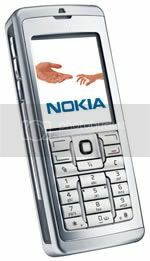 Nokia E60 coming soon in 2006. The Nokia E60 provides the uncompromised look, comfort and usability of a classically designed mobile phone. Supporting an array of advanced call features from integrated speakerphone and conference calling to voice-aided applications like Push to talk, and IP-based telephony, the Nokia E60 is the best mobile device for active voice communications – in and out of the office. The Nokia E60 offers fast and flexible data connections with WCDMA enabling wide area connections and WLAN offers a cost effective option for local access. Although optimized for one-handed use, its large color screen makes email and calendar entries easy. The Nokia E60 operates in GSM900/1800/1900 and WCDMA2100 networks.